When the first blooms of spring begin to appear, they bring reassurance that warm weather is just around the corner. Some of the first blooms include the daffodils, snowdrops and crocus followed soon by hyacinths, tulips and others. Planting flowers for spring blooms is easy, even for newbie gardeners. The bulbs for many flowers can be purchased and planted in the fall, even after the first frost. With proper planting, a flower garden of any size can bloom victoriously in the spring. Candytuft (Iberis sempervirens) is hardy in zones 4 through 9. This plant prefers full sun to partial shade but produces much less flowers in shaded areas. The pure white blooms produce a stark contrast against the dark green foliage but as the blooms age, they take on a pinkish or lavender hue. Candytuft grows to a height of about ten inches tall. Bleeding heart (Lamprocapnos spectabilis) is hardy in zones 5 through 9. These beautiful flowers prefer partial shade. They can grow to a height of almost three feet tall, depending on the particular cultivar. Work compost into the soil before planting bleeding heart in fall or early spring. For gardeners living in colder climates, Luxuriant (D. Formosa) is hardy to zone 3. The crocus (Crocus vernus) is hardy in zones 3 through 8. These flowers bloom approximately two to three weeks after the winter crocus appear. They come in a variety of colors and include a few striped varieties. Crocus prefer gritty, well-draining soil -- avoid heavy clay and super moist soil. Tulips (Tulipa) are hardy in zones 3 through 8. They come in a wide range of colors and cultivars sure to suit any spring garden. The earliest varieties that bloom in spring include the Emperor (Fosteriana) and Single Early, which are the solid-colored, single flowers. Many of the early blooming varieties are between four and ten inches tall. Hyacinths (Hyacinthus orientalis) are hardy in zones 3 through 7. They are beloved for their wonderful fragrance. Most varieties of hyacinth grow up to 12 inches tall and the waxy, densely packed blossoms come in shades of orange, peach, salmon, yellow, white, red, pink, purple, lavender and blue. The double varieties require staking to prevent them from toppling over. The African lily (Agapanthus africanus) is hardy in zones 7 through 11. These flowers can reach a height of four feet, and their blooms can reach up to eight inches across. African lilies are great for rockeries, mixed borders and flower beds. It's important to note if you plant them from seeds it will take 3 to 5 years for the plants to produce the first flowers. Peonies (Paeonia) are hardy in zones 3 through 8, although some gardeners have also had success with them in zones 2 and 9. They prefer full sun. There are many colors and cultivars to choose from, including peony trees. Peonies are drought resistant spring flowers, and they will do well in almost any soil as long as it drains well. Daffodils (Narcissus pseudonarcissus) are hardy in zones 3 through 9. Blooms range in color from gold to lemon yellow to snowy white. Most daffodil bulbs are very tolerant of cold weather; cold temperatures are actually necessary for the formation of the flower buds. For this reason, daffodils can't be grown in frost-free regions. Cherry blossoms (Prunus serrulata) on Oriental Yoshino cherry trees tolerate growing zones 5 through 8. The delicate blossoms of Yoshino and Kwanzan cherry trees (zones 5 through 9) are a lovely sight in the spring and are a beautiful addition to any list of flowering plants for spring. Cherry trees thrive in full sun exposure and deep, fertile soil with good drainage. Pansies (Viola wittrockiana) are hardy in zones 4 through 8. Available in a wide range of colors, pansies are versatile flowers that can be grown in containers, in borders or as ground cover. Pansies grow about 6 to 9 inches tall and thrive in moist, humus-rich, well-draining soil. Seeds can be planted indoors 6 to 8 weeks before transplanting outdoors. Snowdrop anemone (Anemone sylvestris) is hardy in zones 2 through 9. These delicate white flowers appear in late spring and early summer. Anemone flowers grow in dense patches with low mounds of ferny foliage, making them great for ground cover and borders. The plants are also deer and rabbit resistant. Lilac shrubs (Syringa vulgaris) are hardy in zones 3 through 7. The fragrant purple blooms appear in late May in most northern states. Depending on the variety, they grow from 5 to 15 feet tall. 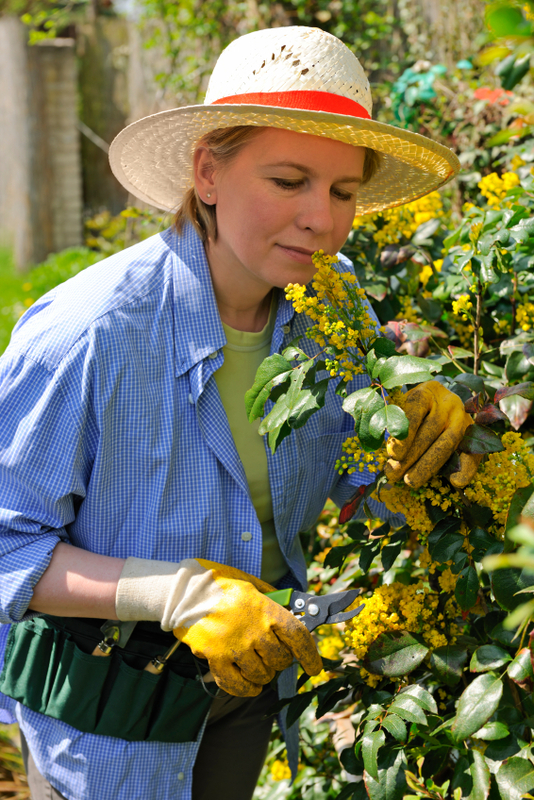 Plant lilac shrubs in areas where they will get at least six hours of sun per day, otherwise they won't bloom well. Harmony iris, (Reticulata) also known as dwarf iris, is hardy in zones 5 through 9. Harmony iris blooms very early in the spring in beautiful shades of blue and purple. The very large blossoms have a wonderful fragrance similar to a violet and continue to come back year after year. Icelandic poppies (Papaver nudicaule) are hardy in zones 2 through 8. Their brilliantly colored blooms start showing in late spring around May and thriving plants will continue to bloom through July. Colors range from orange, yellow, red and white. Deadheading, or removing faded and dead blooms, helps encourage additional blooming. Lily-of-the-valley (Convallaria majalis) is hardy in zones 3 through 7. The delicate white flowers produce a fragrant, sweet aroma synonymous with spring. Fresh clippings of the petite, bell shaped flowers are perfect for small, sweetly scented bedside bouquets. The plants thrive in partial shade and can be an aggressive ground cover. Wisteria (Wisteria sinesis) is hardy in zones 3 through 9. This vigorously blooming Asian vine produces showy, cascading flower clusters perfect for providing floral drapery and camouflage over outdoor trellises, covered porches and pergola. Use caution with wisteria, it is toxic to dogs, cats and horses and must be regularly pruned to keep it under control. Rhododendrons (Rhododendron ferrugineum) are hardy in zones 4 through 9. Like azaleas, rhododendrons are regarded as one of the best flowering evergreen plants for temperate landscapes. Rhododendrons are characterized by large, shiny, leathery evergreen leaves and clusters of large pink, white or purplish flowers that bloom from spring to early summer. The shrubs need to be watered if rainfall is less than 1 inch per week and they grow to a variety of sizes, from one or two feet to over 20 feet tall. Sweet pea (Lathyrus odoratus) is hardy in zones 2 through 11, although it thrives in cooler climates. This bushy, climbing annual features highly fragrant flowers in colors of purple, lavender, pink, red, blue, white and bicolor. Sweet peas love full sunlight with their roots deep in cool, moist soil. Plant low-growing annuals in front of them to help shade their roots. Roses (Rosas) can be grown in any U.S. climate zone. Speak with a local nursery to find out which particular variety performs best in your climate. Then choose the type of rose bush best suited to your garden or flower bed site. Climbers and ramblers grow from 7 to 30 feet in length and need some type of support. Hybrid teas have large, single blooms on long, stiff stems while floribundas have smaller clusters of blooms and each of them grow about 2 to 3 feet high. Roses come in thousands of varieties in multiple shades of red, pink, lavender, orange, yellow, white and two-tone colors. Muscari (Muscari armeniacum), commonly known as grape hyacinth, is hardy in zones 4 through 8. These showy, royal blue April bloomers are easy to grow in average well-drained soil in full sun or partial shade. Keep them thriving with moist ground during the spring growing season. When you notice the foliage starting to die back, you can reduce watering as the plants go dormant during the summer. With so many colorful spring flowers to choose from, it shouldn't be too difficult to plan a vibrantly blooming garden of your own. Check your local greenhouses and garden supply stores to find even more blossoms that will give your flower beds a beautiful burst of color each spring.